It’s time. A white sandy beach, tropical drinks and meals prepared for you (rather than by you) are long overdue. How about an island getaway? 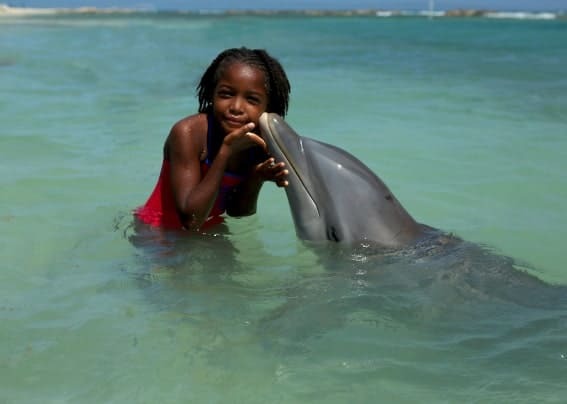 Jamaica is one of those destinations that can meet the needs of everyone in your brood whether it’s kids activities, spa, water sports, fabulous local cuisine and more. 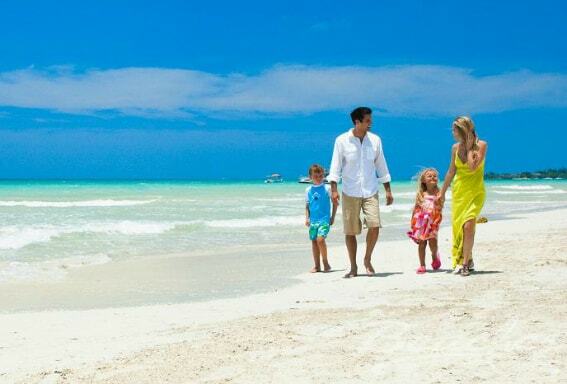 However, deciding between the plethora of family-friendly, beachfront resorts can be challenging. 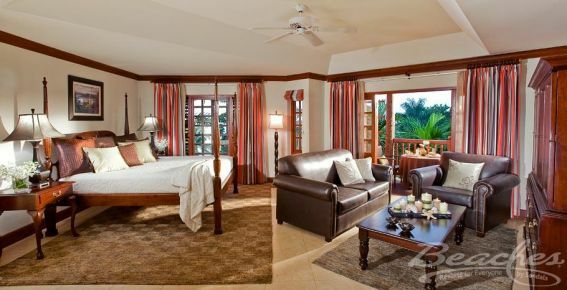 Do you go all-inclusive or a la carte luxury and on which part of the island? I’ll give you a run-down on two fabulous resorts in Jamaica to hopefully help narrow your search, making your only other difficult decision a pina colada versus a daquiri once you arrive. Situated on gorgeous Seven Mile Beach at the west end of Jamaica, Beaches Negril is almost like an amusement park (in a good way). There is just so much for all ages to do that it’s hard for me to decide what to tell you about first. When on a family vacation, there is something extra liberating about not worrying about incidental costs or the mere inconvenience of signing tabs. If junior doesn’t like his smoothie and wants a different flavor, then so be it! The downside is that there isn’t any room service, which we do typically take advantage of in an emergency. However, if you need wine or drinks in your room, all you need to do is ask! My gorgeous room was much larger than a standard hotel room and included both an indoor and outdoor sitting area. To be honest, I didn’t spend much time in it due to our action-packed itinerary and because I was out enjoying all that Beaches has to offer. 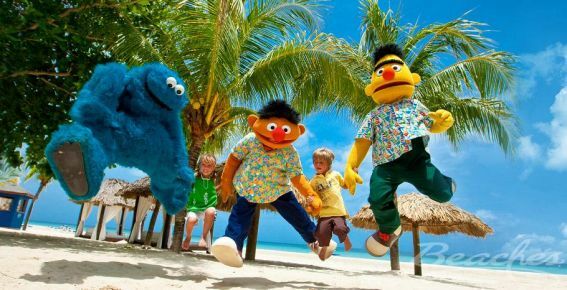 Let’s just say it would be hard for kids to get bored at Beaches Negril. 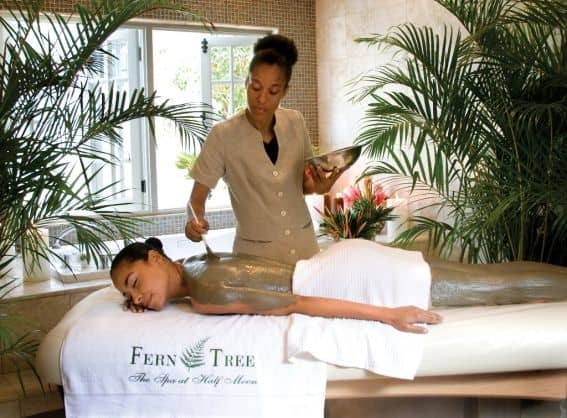 Babies and toddlers can hang with you or spend time in the nursery while you’re at the spa. There’s also a playground for young kids and a pool just for toddlers. 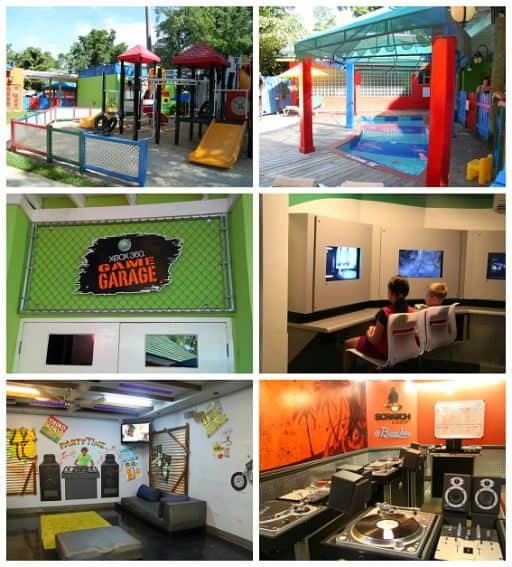 In addition to multiple pools, water slides, water sports and the beach, older kids can escape the sun by playing in the Xbox 360 Game Garage or by channeling their inner rap star at the Scratch DJ Academy. Teens and tweens can take scuba and golf lessons, waterski, join the nighttime talent shows, and so much more. There’s even a lounge, Club Liquid, that’s just for tweens and teens–no parents allowed! This age group can also chill in Trench Town, a game room with a Jamaican vibe. Make sure your stay overlaps the Sesame Street parade (held on Thursdays) where kids can mix and mingle with their favorite characters. Watch Big Bird and friends groove on stage during a giant, post-parade dinner buffet on the beach. Later, a DJ spins tunes for dancing, for those who want to continue the party. Though the kids might be with you on this trip, there are plenty of opportunities for adult alone time.Child care is available at the nursery or via Kids Camps. Book a treatment at the gorgeous Red Lane spa (cost is additional), but be sure to allow time to enjoy the lounging areas. 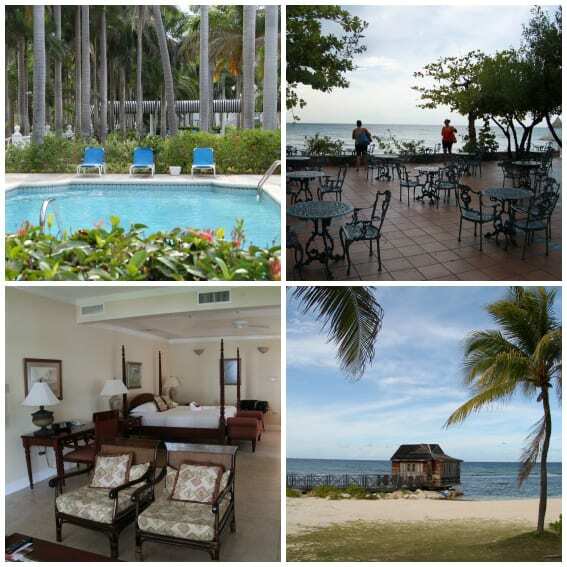 Jamaica is full of dive sites and scuba is included in your Beaches room rate. Take advantage of this along with other water sports. With multiple restaurant and nightlife options included, a week or longer stay at Beaches is definitely possible. It’s perfect for a variety of travelers because you can stay as busy as you’d like or just soak up some rays. 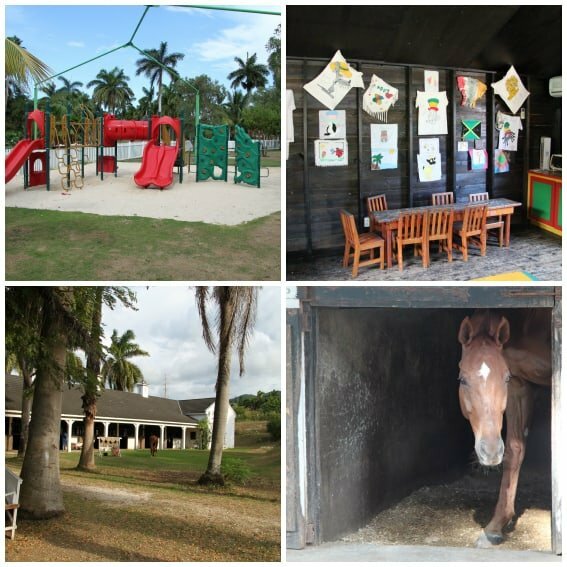 As if the beach isn’t enough, all ages can book lessons at Half Moon’s equestrian center. Teens hang out in their own activity center called Hyper Zone. Half Moon, a RockResort also has it’s own dolphin cove. Wouldn’t your kids love to do this? The onsite 18-hole golf course is considered one of the best in the Caribbean but if shorter distances are preferred, try the 18-hole putting green. Tennis buffs choose from 13 fully-lit tennis courts. Go for a swim in one of the resort’s 54 pools. Granted, some of these pools are in luxurious private villas–which happen to be perfect venues for multiple families or a girl’s getaway. Jamaica has two major airports, Norman Manley International Airport (KIN) near Kingston and Sangster International Airport (MBJ) in Montego Bay. I flew into Montego Bay and from there it was about a 1 hour 15 minute drive to Negril on a scenic, but windy, two-lane road. Because the roads are small and potentially difficult for a tourist to navigate, I’d recommend that you arrange transportation in advance and avoid renting a car, if you can. MBJ is a small airport with free WiFi and plenty of dining options for those of you who want to savor that last Jamaican patty or bite of jerk chicken. Scotchie’s is a family-friendly place for jerk chicken that’s just a few minutes from Half Moon, a RockResort. Slipping into that “yeah, mon” mentality is easy and I didn’t even get in to how amazing Jamaican hospitality is, not to mention the delicious local cuisine…I could go on and on. Disclosure: The author was hosted on a media stay by the Jamaica Tourism Board. All opinions are her own. Katie Dillon is a contributing editor for Trekaroo and an ex-expat (London and Hong Kong) who would travel constantly, if allowed. She lives in La Jolla, CA with her 5-year-old fashionista, dog, and husband. In her spare time, Katie writes a lifestyle site called La Jolla Mom and is also the author of a short book called Flying With Kids.